#1. How to Pronounce "Ecwid"
Ecwid is pronounced “ECKWID.” Some people are shy about asking this question but I know it is an issue – I didn’t know how to pronounce Ecwid either when I fist saw it! #2. What Does Ecwid Stand For? Ecwid stands for “e-commerce widget.” This is truly what makes Ecwid stand out compared to the competition. It isn’t just a powerful eCommerce solution. Ecwid is also a plugin, that can be added to practically any website. Ecwid has a Forever Free Plan, so yes, it is free forever. If you would like advanced features, then you can upgrade to a paid account. Ecwid offers very affordable paid plans with transparent pricing. #4. Is Ecwid Legit? Is Ecwid Safe to Buy From? Yes, Ecwid is legit. Ecwid has over 1.5 Million sellers in 175 countries. Ecwid has existed since 2009 and is constantly updated by a dedicated team of highly qualified developers. They offer excellent support: forum, email and phone. 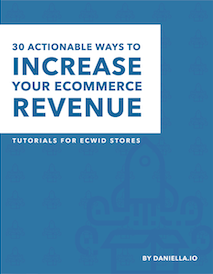 Learn how to build an Ecwid store quickly and easily in my Ecwid eCommerce Power Course! It will take you through the entire process of setting up your Ecwid store, driving traffic and boosting sales! Click on the button below to learn more. Ecwid is an excellent solution for small and medium-sized business owners. Ecwid caters perfectly well to small and medium businesses, freelancers, artists, influencers, podcasters, startups and businesses that want to scale quickly. #6. How to Use Ecwid? Ecwid can integrate practically any website. So you can use Ecwid to sell on social media platforms like Facebook and Instagram. You can use Ecwid to sell on marketplaces like Amazon and eBay. And you can use Ecwid to sell on any CMS like WordPress, Wix, Weebly, Squarespace or Adobe Muse. #7. Do I Need a Developper? You do not need a developper to use Ecwid eCommerce and sell online. Ecwid is a very user-friendly and anyone with the most minimal technological skills can get selling online quickly and easily. Ecwid is not good, it is excellent. If you want to sell online quickly and easily, you will love Ecwid. If you have no tech or coding skills, you will love Ecwid. 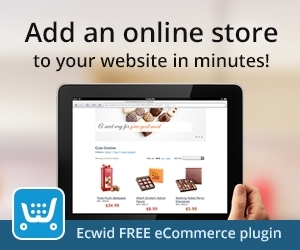 If you want an affordable eCommerce solution, you will love Ecwid. #9. How Much Does Ecwid Cost? Ecwid offers a Forever Free Plan. The Ecwid Venture plan costs $15 per month. The Ecwid Business Plan is $35 a month. The final and most complete plan Ecwid offers is the Unlimited Plan that costs $99 a month. #10. How Do I Open an Ecwid Account? Click on the button below to open an Ecwid account at ecwid.com. Click on the Sign Up button and simply follow the instructions to open your Ecwid eCommerce account. #11. Where is the Ecwid Control Panel? The Ecwid Control Panel to update your online store can be found at Ecwid.com. Click on Log In to access your Ecwid seller control panel. #12. Where is My Ecwid Store ID? Your Ecwid Store ID is at the bottom of your Ecwid Seller Control Panel. Go to Ecwid.com, log in and scroll to the bottom of your Ecwid Seller Control Panel. You will find your Store ID there. #13. What is the "Ecwid API"? API stands for “Application Programming Interface” and in the case of Ecwid, it pretty much allows developers to create bridges between Ecwid and apps so they can communicate information together. Ecwid may, or may not be down. If you are not sure, check out their status.io page that has up to date information on if the app is down or not. #15. Where Can I Learn How to Setup Ecwid? 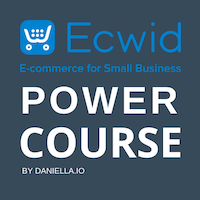 Learn how to use Ecwid in Ecwid’s forums, on their support site, on their blog or just follow my Ecwid eCommerce Power Course! It will take you through the entire process of setting up your Ecwid store, driving traffic and boosting sales!